Recently, a friend took in her 13-year-old niece for the summer because her parents fell on some rough times. At first, she gave the young girl quite a bit of grace with her cell phone. She recognized how overwhelming it must be to leave your home and temporarily move in with someone else. She didn’t say anything when the teen sat on the couch for hours scrolling and scrolling. She didn’t pipe in when the young girl walked around the house with her nose in her phone. She tried not to scold her when she repeatedly said “Wait just one minute,” so she could finish a text instead of responding to a question. Finally, when the girl tried to bring her phone to Sunday family dinner, my friend had enough. She told her niece to leave her phone at the counter for meal time. That’s when the cell phone drama began. First, there was a whole tech tantrum about how the rule was unfair. When she finally made it to the table, she turned around to look at the phone every time it buzzed. She did not participate in any of the conversations and wolfed down her meal, asking to be excused the moment the last bite went into her mouth. She didn’t even wait for an answer, she just jumped up and went straight to her phone. The next week, my friend found that the young girl was staying up all hours of the night, sleeping with the phone under her pillow so she could hear any messages. When her Aunt made her shut the phone off, she constantly thought she heard vibrations, even when the phone was powered down. She appeared uncomfortable and jittery when her phone was not within reach and started lying about when she was using it. This teen had a serious cell phone addiction. And let’s get real, we’re not really going to ban teen cell phone use. 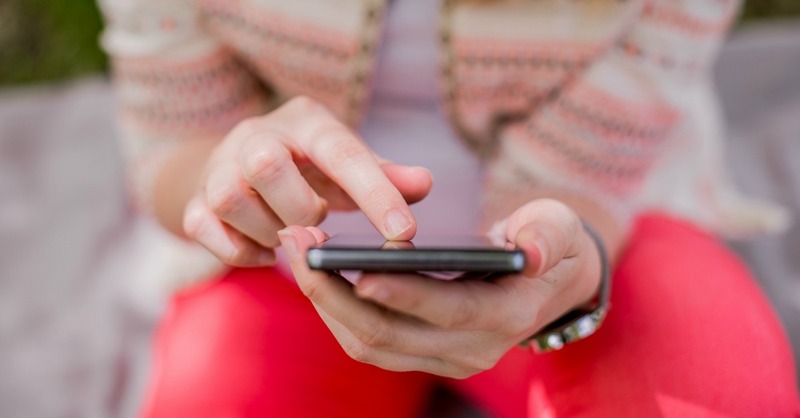 The truth is, in today’s digital world, smartphones do make our lives easier. It’s simple to use it to check for weather updates, communicate with friends, finish homework, complete work tasks, order food, and so much more. But, as with anything in parenting, you should always know where the tipping point is for your child. You need to be able to recognize the signs of cell phone addiction and be aware it could be different for each child. Technology isn’t going away, but we can reduce our teen and tween’s vulnerability to cell phone addiction. A great way to do this is by establishing healthy boundaries and making sure you have set some very clear cell phone rules for teens and tweens. 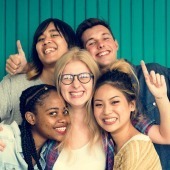 We all know teens today are over scheduled with school work, activities, and gaining college acceptance, and study after study shows that our older kids are not getting enough sleep. Set up a charging station that you can monitor and make sure your kids adhere to putting their phones in it roughly an hour before bedtime. In our house, it’s 8:30 p.m. on school nights and 9:30 p.m. on weekends. One of my pet peeves is when I see my three daughters sitting on the couch watching a movie and scrolling through their phones; Or, when they are using the computer for homework, yet continuously stop to text. If you can’t finish a task without checking your phone, in my opinion, you have a problem. So, we instated a one screen at a time rule, so my kids learn to remain focused and in the moment of whatever they are doing at the time. No one, and that includes Mom and Dad, can bring their phones to the table. We only get to eat dinner together as an entire family a few times a week, so that is the time we catch up with each other. If you don’t want to talk, you don’t get to fill the void with your phone. Period. Limiting access to social media, games, etc. My daughters find a new game to play on their phone every week. Sometimes they have a hard time pulling themselves away, and I find that they sneak to finish one more level or scroll one more post. I set up time restrictions so they can only access specific apps on their phones during certain time periods. For example, they can’t access games and social media until after school, so it isn’t a distraction. If their homework is done and rooms are clean, I let them have an hour or two where they can use their phone without me pushing the rules down their throats. Whether I like it or not, teens connect digitally, and I remember spending hours on my hot pink phone in my room on a three-way call with my friends. Although I know my parents thought it was ridiculous, they let me find that time to bond with my friends. Okay, maybe not the entire day, but I like to take my girls on hikes or shopping, and we leave all the cell phones home except for one, which can’t be used unless it’s an emergency. It’s good for parents and kids alike to know that they can go hours (or gasp, even days) without using their phone. My daughters always wanted to peek at their phones to see if anyone had texted, posted, messaged, etc. When we turned off these notifications, and they did not incessantly appear on the screen, my teens desire to check their phones plummeted. We all follow the same rules in our house, even Mom and Dad. 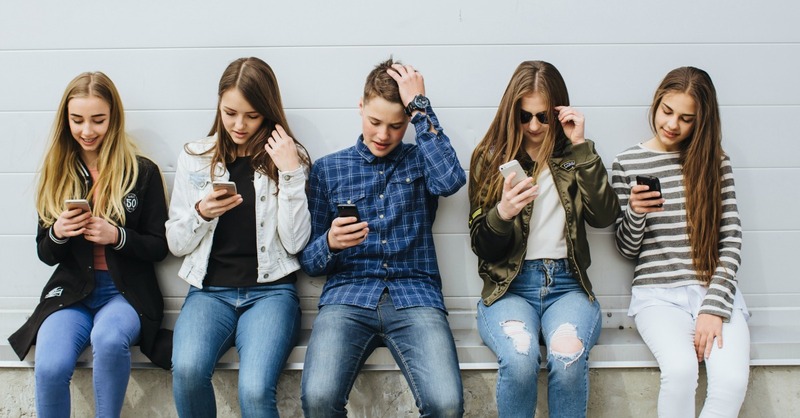 It’s easy to use the “work” card, but to truly show your teens they don’t need their phones 24/7, you have to demonstrate that you don’t either. How do you guard against teen cell phone addiction in your family? Unfortunately, this isn’t a school issue this is a parenting issue. Who bought the phone? Who pays for the phone? I’m guessing you do. So, it’s your property, take it away. It’s that simple. If he wants the privilege of having a phone, he has to earn it and that comes with respect and following the rules.